States like Oregon, California, Texas, Montana and Iowa just simultaneously nuked the ability to have seed laws. Claws of Big Ag found puppeteering legislators. With little to no fanfare at all, the states passed “seed preemption laws” that essentially shut down public discourse on seeds laws – including the use of genetically engineered crops. There is consternation that the move was “designed to block counties and cities from adopting their own rules on the use of seeds, including bans on GMOs” since in many parts of the country those crucial decisions are only the state’s to make. This bill should be viewed for what it is — a gag order on public debate. This thinly disguised attack on local democracy can be easily traced to out-of-state, corporate interests that want to quash local autonomy. 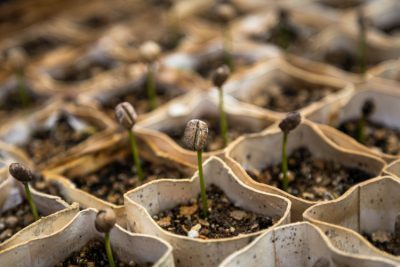 In Texas, the bill nixes local laws about seeds but also “cultivating plants grown from seed” and is open to interpretation. Cultivating? Wouldn’t that involve every step of growth? No surprise – the state’s Farm Bureau Federation, DuPont, and Monsanto hopped on board to lend their support. Texas is our third biggest ag state when it comes to production. These bloated interests are trying to tell people that this is a way to cut the red tape that strangles farmers – never letting on that they are talking about factory farms. The red tape these bills actually produce will be left to tie up local residents, I’m sure. Proponents say that we simple folk don’t have the “science” it takes to make these agricultural decisions and that local seed laws “complicate” things. If this makes you mad you need to start telling your representatives. This goes beyond local agriculture and food. It’s about monopoly, and resources and saving our pollinators. More and more legislation is being passed that squelches any kind of public outcry – it’s a use of force that comes down to who has the money to buy whom. That’s why voting with your dollars isn’t enough – Big Ag already has enough dollars. We need to keep making demands or we lose the ability to grow food and even vote with our dollars. Soon there will only be one choice – GMO factory farm sewage. More and more America is starting to resemble Animal Farm. Where corporate cronyism is barely distinguished from communism and man is barely distinguished from pig.